Goodman Games • View topic - Jeff Grubb holding AoC8: Starfall Over the Plateau of Leng! Post subject: Jeff Grubb holding AoC8: Starfall Over the Plateau of Leng! 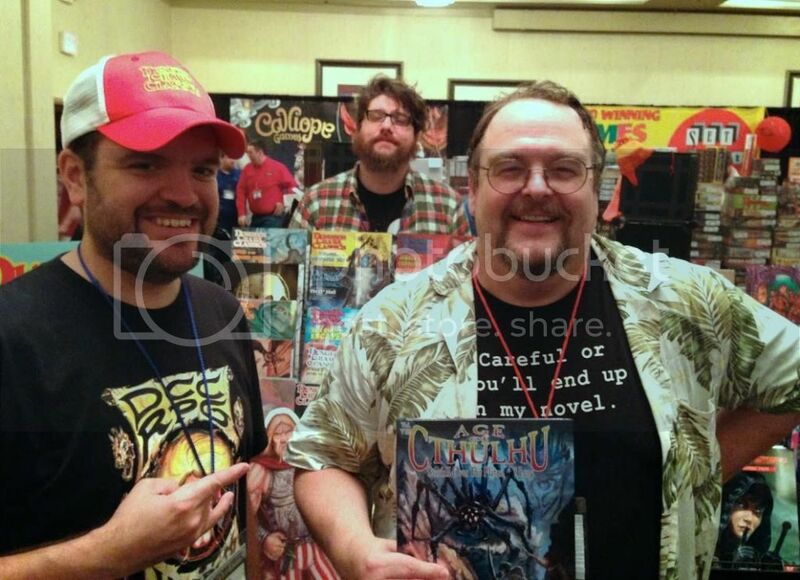 This is a picture of Jeff Grubb at Grand Con 2014 holding my book! Jeff and his gaming group were kind enough to play test Starfall Over the Plateau of Leng, and their play test notes were invaluable in the shaping the final product. Thank you Jeff!